Roulette refers to a game that is played head-to-head with the roulette wheel. Players only play and bet against the casino instead of against the other players. Every wheel spin is considered as a roulette game. The goal of roulette is to correctly guess the characteristic or number of the number that the ball lands on after the spin. Characteristics include high or low, odd or even, or the color of the number. The props of roulette are the wheel, the green table with numbers, and a special kind of chips. When it comes to American roulette, every player uses chips of different colors to get rid of any confusion. Regular roulette tables can hold up to eight players. The cast of roulette is made up of the dealer or croupier and the players. The dealer spins the roulette wheel and takes control of the overall game flow. Roulette looks utterly simple from the outside and its game play is straightforward, as well. When it comes to American roulette, each player has to buy special roulette chips of their own color to get rid of any confusion. Every player puts his bet on the roulette table in a labeled or numbered box or on lines intersecting the boxes. The dealer spins the roulette wheel in a particular direction and lets the ball drop onto the other direction. 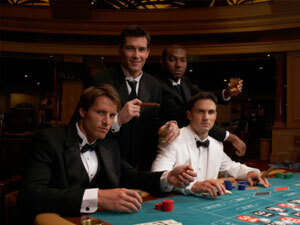 Players can still change their bets after the start of the spin and until the dealer states that no bets can be made. This is usually called after the ball reaches the upper rim. That is when every bet freezes while the spin comes to an end. On the Internet, however, players act as their own dealers by clicking on "spin". The roulette ball will land on a number, and the dealer will place a market to alert players of the winner on the layout. The dealer will collect the bets that lost and pay out the bets that won. There are eleven kinds of bets in roulette, each of which has its own personal payouts and odds. Bets can cover various options, like individual numbers, red or black, odd or even, and number ranges. You can place a lot of bets on every spin. The minimum amount applies to your bets' total, though, not each bet, so take a look at the chart and table layout while looking through the options of betting. Especially pay close heed to the payoffs and odds for every kind of bet out there.